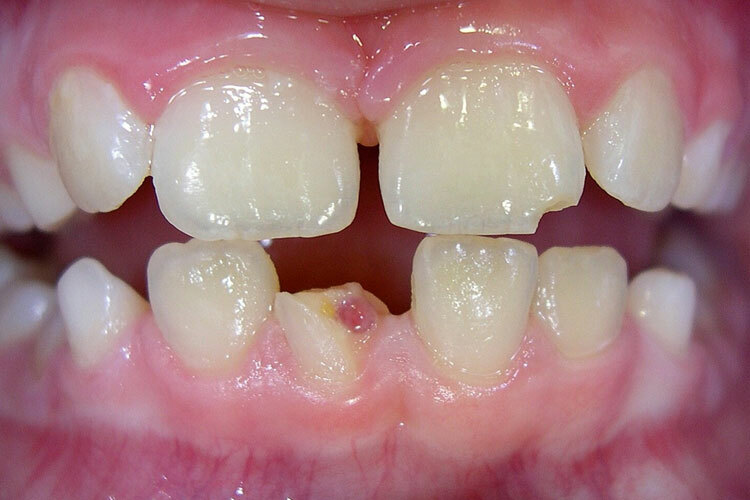 Problem: These two front teeth were broken when playing hockey. Solution: Bonding was used to repair the broken teeth. Remember to wear a mouth guard when playing contact sports. 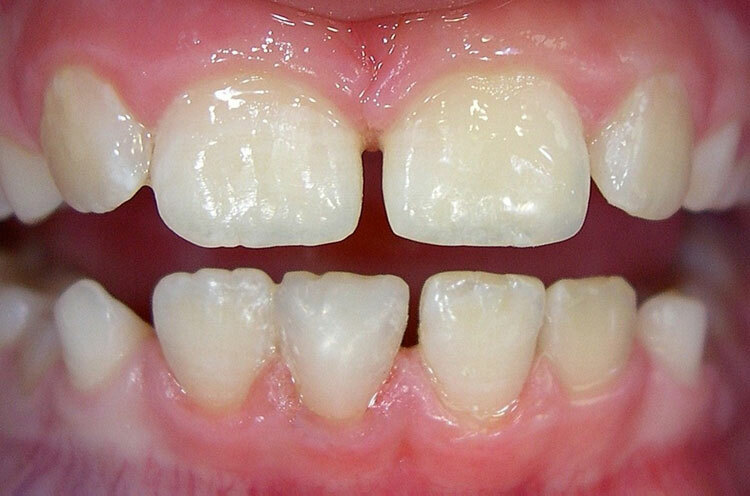 Problem: A gap existed between the front teeth. 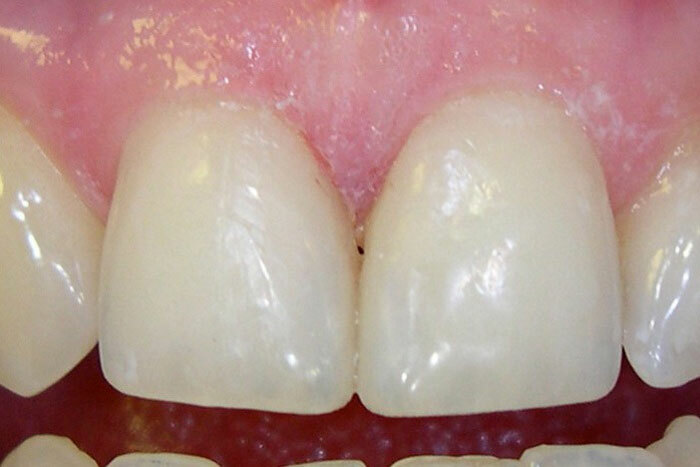 Solution: A composite resin was bonded to the sides of each of the front teeth to close the space. 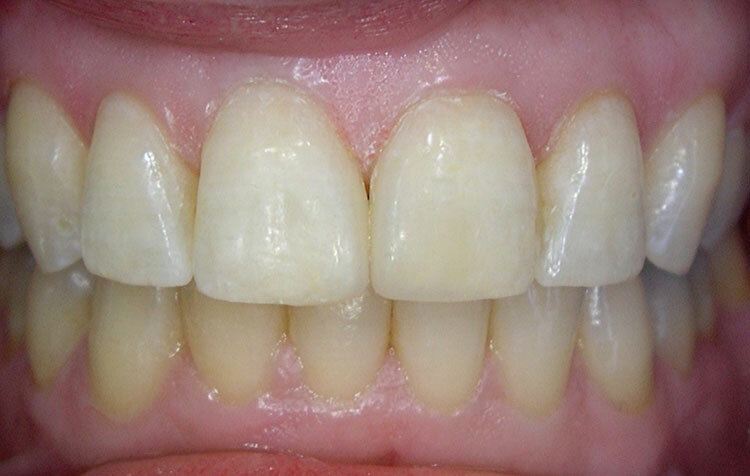 Problem: The existing restorations on the front teeth were chipping and looking rough. Solution: The old restorations on the front teeth were replaced and at the same time the gap between the front teeth was closed. 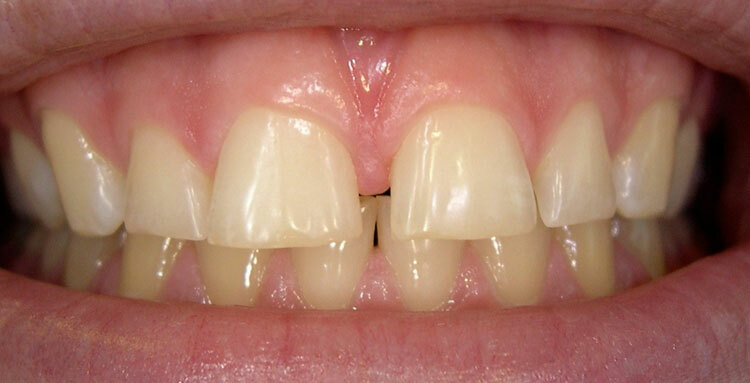 Problem: Another case of a space between the two front teeth. 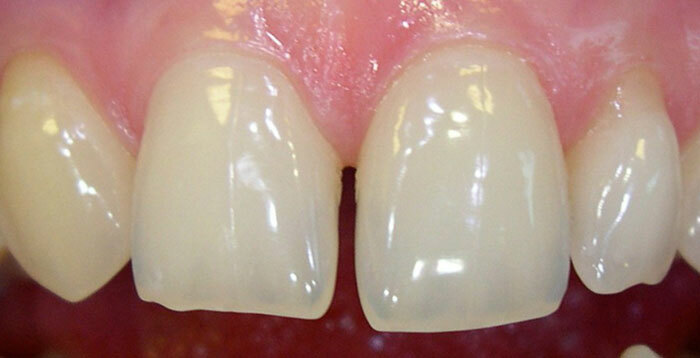 Solution: Composite resin was bonded to the teeth without any need to prepare or cut the teeth to accept the resin. No freezing is needed. Problem: This lady’s smile was uneven. There was a space between the teeth and the edges were chipped. 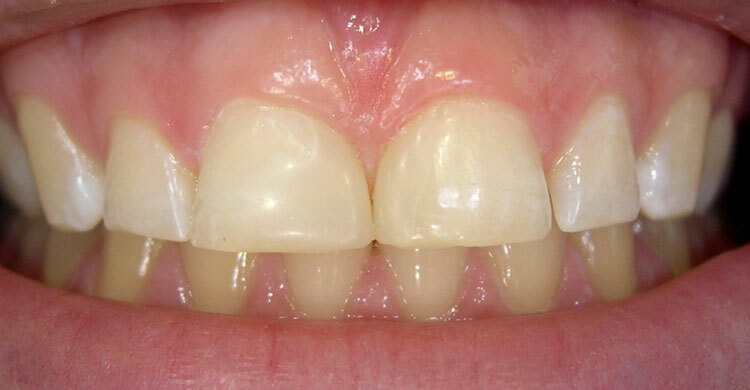 Solution: This smile was transformed by closing the space between the two front teeth and smoothing the rough edges. 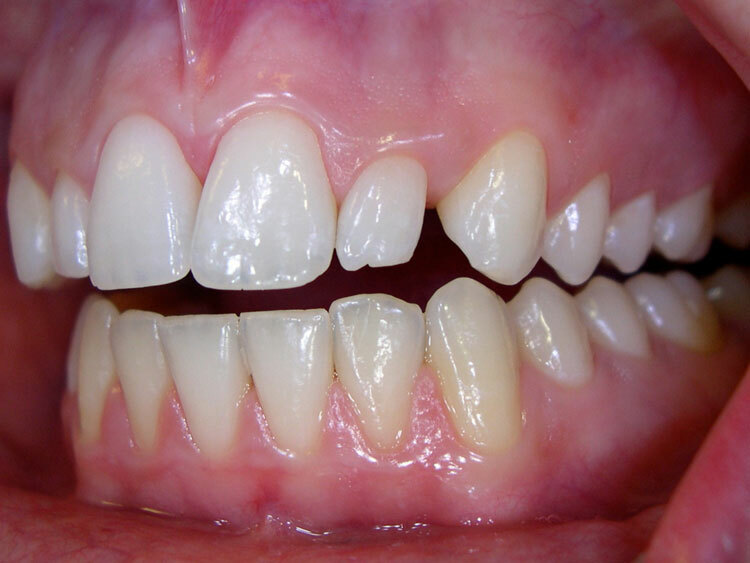 Problem: Several teeth were broken in a sports injury. Solution: Bonding was used to repair the damaged front teeth. 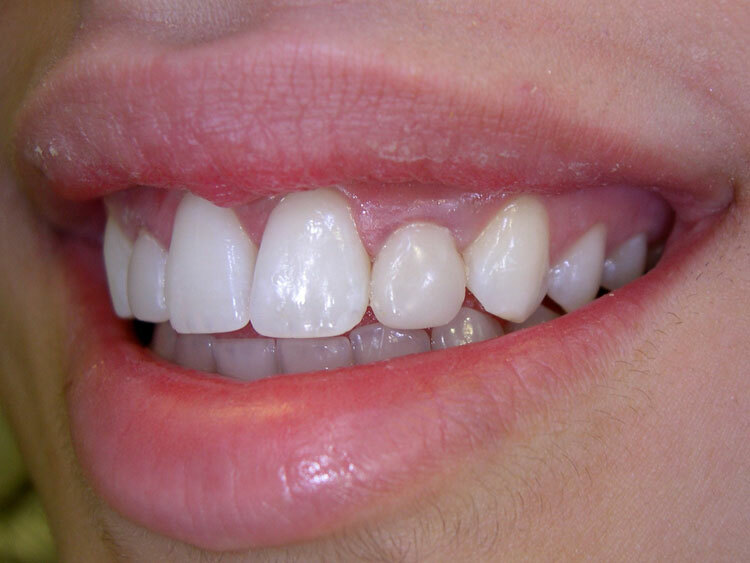 Problem: Every person is different, including the shape and size of their teeth. What can be done when there is unnecessary spacing? 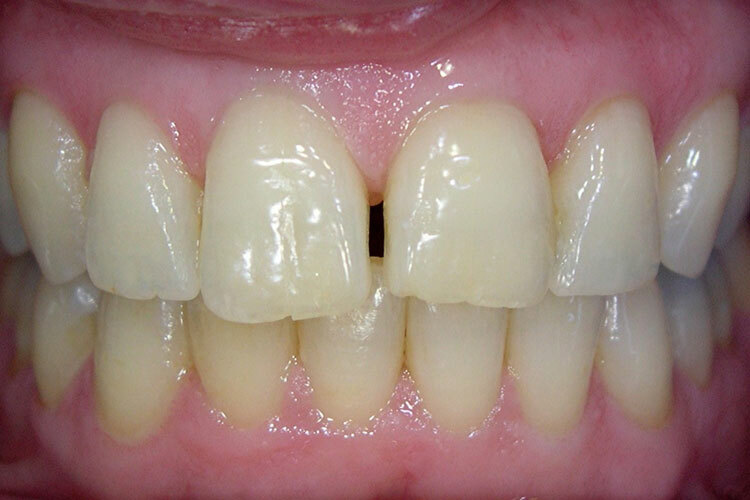 Solution: In this case, a composite resin was placed to resolve this issue. The colour and size of the restoration look just like a natural tooth; it is like the space never existed!